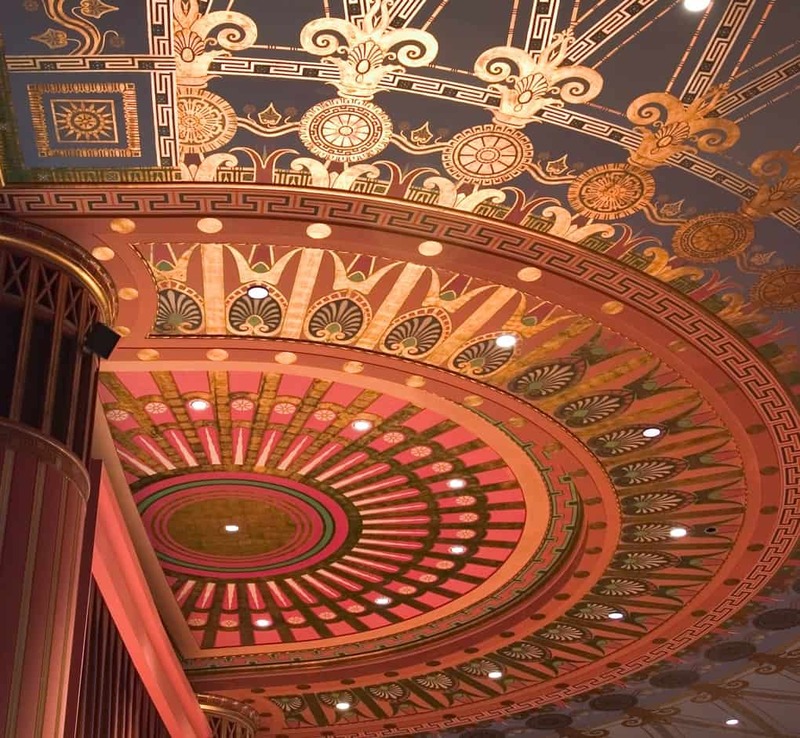 Rackham Auditorium | University of Michigan | John Canning & Co.
As specialty contractor, Canning Co. restored and conserved the interior decoration painting, architectural gilding, and plaster at Rackham Auditorium, University of Michigan. Historic paint analysis; plaster conditions analysis; lead containment; plaster consolidation; conservation and restoration; decorative painting; architectural gilding; plaster restoration. 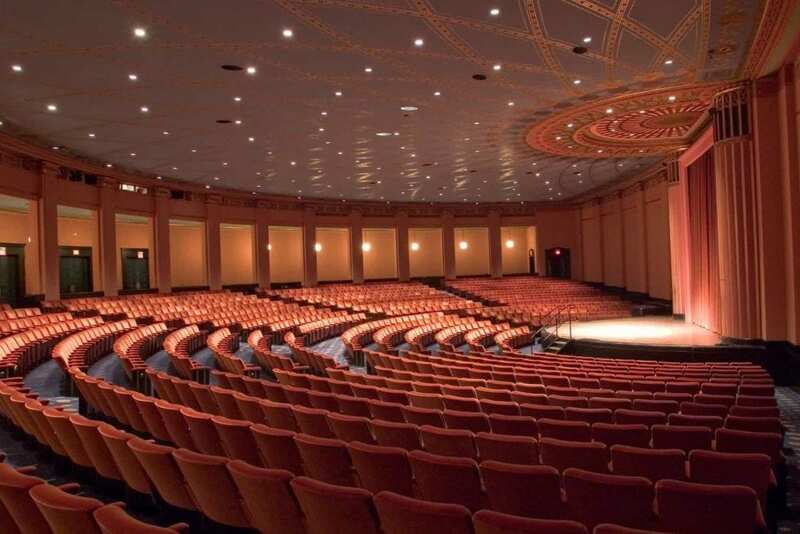 John Canning & Co. was selected as a specialty contractor by the University of Michigan to restore the Rackham Auditorium, which is part of the Horace H. Rackham School of Graduate Studies. The building, built in 1938 and designed by William Kapp.